The First Responder Network Authority (FirstNet) conducted its first-ever meeting of “state points of contact” or SPOCs (pronounced like “Mr. 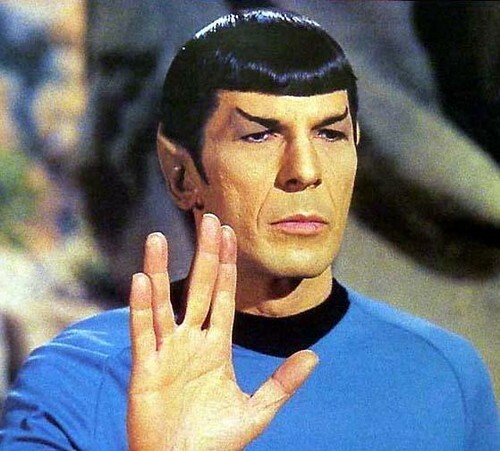 Spock”) in Reston, Virginia, this past week. Here are some of my impressions from the event. Every state or territorial governor has appointed a SPOC – there are 55 all together. SPOCs range from public safety radio systems managers to policy wonks to state Chief Information Officers (CIOs) to The Adjutant General (i.e. Commander of the National Guard), depending on the state. FirstNet was created by Act of Congress in February, 2012 – over three years ago – and most SPOCs were appointed in 2013. Yet this is the first time we’ve all been invited to meet together to share experiences and hear and advise FirstNet itself. SPOCs are a skeptical bunch. In past regional and “initial consultation” meetings we have expressed a number of reservations about FirstNet. In those meetings many of our questions were aggressive, almost accusatory. In this meeting I detected a subtle shift in tone. SPOCs and others at this meeting asked questions in a supportive and generally curious way. 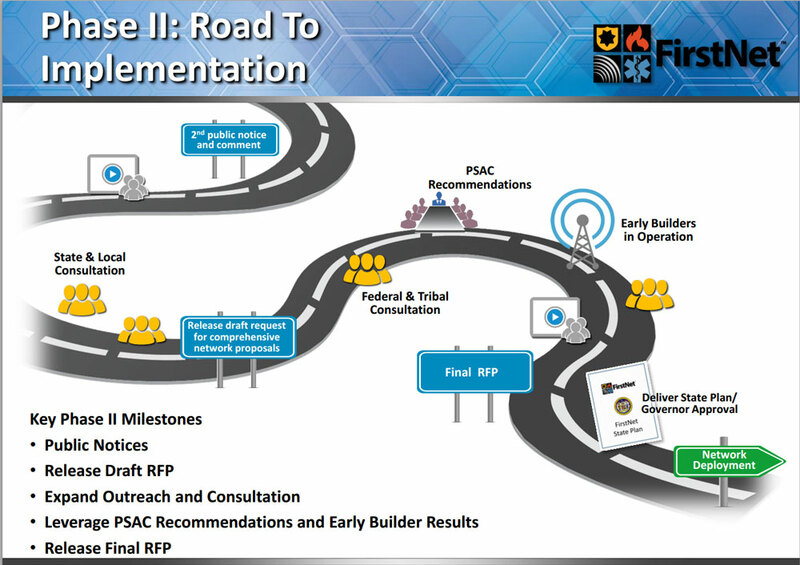 In many cases SPOCs actually chimed in with suggestions to improve FirstNet’s process and project management. For their part, FirstNet staff were more welcoming and accepting of such suggestions than I’ve seen in the past. There is still a tendency for FirstNet folks to “go legalistic” – hide behind the Law which created the Authority. But that is less pronounced than in the past. Forming, Storming, Norming and Performing. This is Bruce Tuckman’s model which describes the phases which most organizations and projects go through. Perhaps we are shifting from “storming” to “norming”. At some point I hope FirstNet moves from Norming to Performing: you’ll know that time has arrived when SPOCs start to refer to FirstNet using the pronoun “we”. That is, instead of saying “you should do this, FirstNet” you’ll hear “we should try this approach”. That time is still months or years away. As we SPOCs talk to fire and police chiefs and other potential users of FirstNet, we always get two questions: what will it cost and when will it happen? Amazingly, the “what will it cost” question is easy to answer. FirstNet’s leaders say again and again that FirstNet’s monthly subscription fee has to be about the same as what commercial wireless companies charge police and fire departments today. That appears to be about $40 to $60 a month for an “all you can eat” (unlimited data) plan. This timeline may be too optimistic – I’ve often been accused of being a Pollyanna in my guesstimates. And we should never underestimate the power of the non-FirstNet federal bureaucracy to find issues and obstacles to slow progress. Some states have been quite aggressive in their outreach plans. Iowa has one of the very best plans. Iowa has a FirstNet point of contact in each of its 99 counties (would those be County Points of Contact or CPOCs?). Iowa has held face-to-face meetings with responders in almost all the counties and is forming committees in each of its six homeland security regions. Iowa has also received some of the best media coverage, such as coverage by Cedar Rapids TV stations for its meeting with responders in Linn County. On the other hand, some states have not even started to talk to their responders about FirstNet. Usually that’s because the Governor is skeptical of FirstNet as “another bureaucratic Federal agency” or is concerned that FirstNet won’t be able to deploy the network at all, reflecting poorly on the State’s own outreach effort and therefore the Governor. A major question for most SPOCs is how rapidly to push our efforts to contact responders. It is hard – and perhaps cruel – to get responders and their agencies excited about a network which is still largely undefined and won’t be deployed for at least three more years at the earliest. The Act which created FirstNet explicitly required a network plan for each state. The Act allows the Governor of each state to “opt in” to that plan or “opt out” and have the state itself build the radio access network (RAN) – that is the towers, transmitters, fiber and microwave links etc. 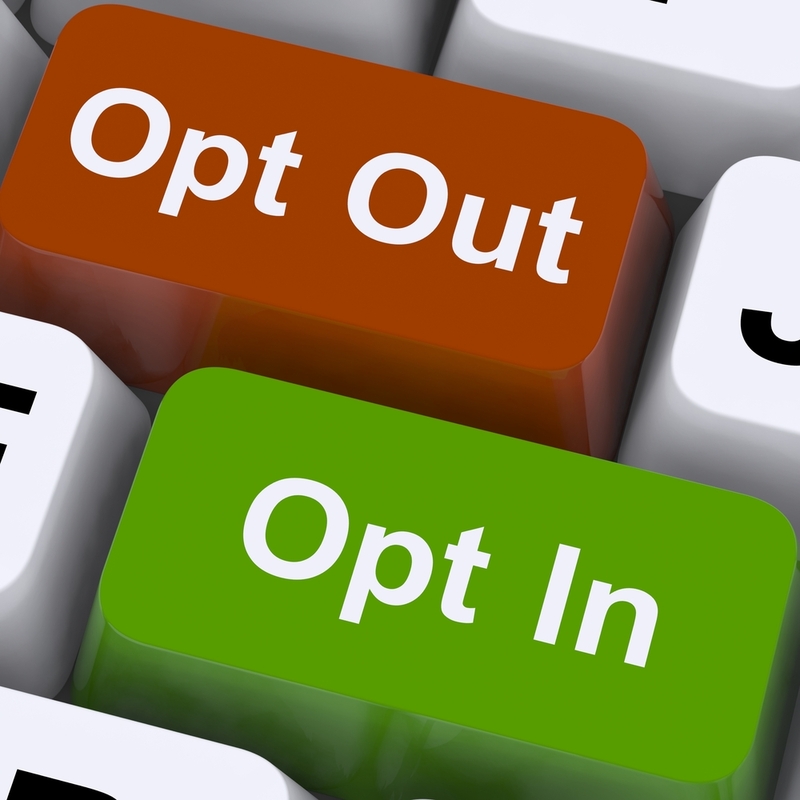 At first it may seem that “opt in” should be the easy choice. Opt-in costs a state almost no money, and doesn’t really obligate the state to commit any resources or even use FirstNet. But, of course, no one has a real idea what FirstNet’s “state plan” will look like. First responders and SPOCs in each state will put a lot of time and effort into helping FirstNet construct that plan. But how can a network with only $7 billion in capital to deply be able to match the coverage, capacity, apps and functionality of commercial networks which spend $20 billion or more a year to upgrade and operate their networks? What if financial constraints mean the FirstNet state plan falls far short of responders’ expectations? There are a number of good answers to these questions, but they are largely irrelevant. No elected official – especially State Governors – wants to be told “this is your only choice”, that is, to “opt in”. And no Governor will want to “opt in” to a state plan which the fire and police chiefs, Mayors and County Commissioners in a state believe is inadequate to meet their needs. One good solution to this dilemma is to fully explore what it would take for a state to “opt out” and construct the radio access network itself. In discussions at this meeting, many SPOCs and FirstNet staff believe that only a handful – perhaps 5 or 6 – of the mostly densely states could feasibly opt out and expect income from user fees and spectrum use fees to pay for the state’s own network. But how do we know that’s true? Ideally, states would use coverage modeling software and financial modeling software, plus the expertise of cellular industry consultants to build and test a variety of scenarios. The result of such models could be an “opt out” plan for the state. But those results would also be independent reviews and opinions on FirstNet’s own plans, thereby strengthening those plans. Furthermore I believe the results of such modeling would quickly demonstrate the costs and obstacles a state would face in constructing the RAN itself. Those identified issues would convince state officials and Governors that opting-out is financial folly. Therefore most Governors will be much more comfortable in their opt-in decision. However, NTIA has recently decided no federal grant monies (SLIGP) can be used to explore any option other than “opt in”. FirstNet itself recently asked for review of its interpretations of the Law (“second notice”), and those interpretations also tend to restrict the ability of states to explore options to build their own. It is clear NTIA does not want states doing coverage and financial modeling, even though such work would result in improved FirstNet plans for each state. This ill-conceived decision by NTIA can be added to the list of other mistakes that agency has made to impede public safety’s pursuit of a nationwide public safety wireless broadband network. Former Governor Jim Douglas of Vermont is a phenomenal addition to the FirstNet Board. Governor Douglas keynoted the second day with a mixture of humor and substance. He’s briefed newly elected Governors and 44 Gubernatorial Chiefs of Staff about FirstNet. This is exactly the sort of support SPOCs need with their Governors. FirstNet might allow representatives of state and local governments to help evaluate RFP responses. There are a lot of restrictions on this, but it would be a material step forward if someone other than federal government employees was involved. 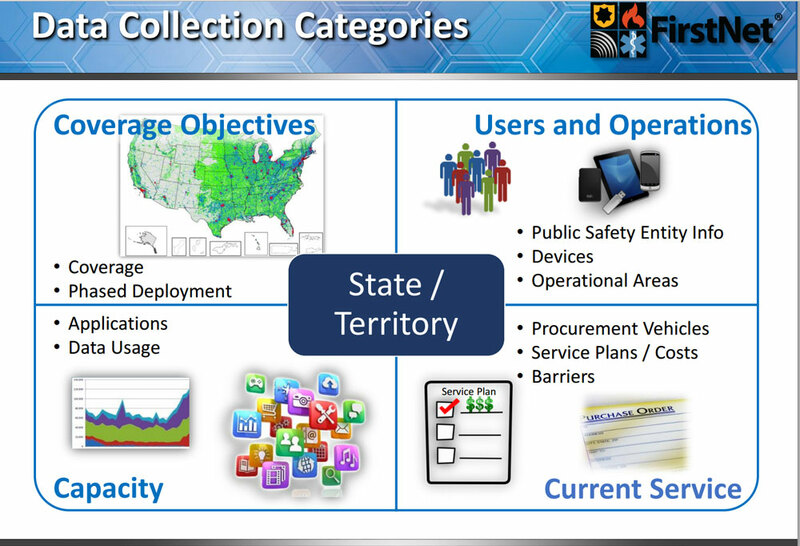 FirstNet is aggressively seeking to collect on-the-ground data to craft its RFP. It has asked states to query each potential user agency (for example: police and fire department) asking about their current wireless broadband contracts, number of potential users, number and kinds of devices, coverage requirements and so forth. (See slide 7 of this PDF.) As with everything else FirstNet, this activity has been in progress for at least 18 months, but only released to states in March, with a demand for collection of the first data by July 31st. I can only guess that the many layers of lawyers and approval processes internal to the Federal government elongated the timeline. FirstNet is finally hiring employees in each of its regions (which mirror the FEMA regions) to more directly engage states in consultation. Steve Noel (Region 10) and Tim Pierce (Region 5) are the first two of ten to be hired. Acting Chief Technical Officer Jeff Bratcher has also hired a great set of technical leaders for the Boulder-based FirstNet technical office. FirstNet’s hiring timeframes continue to be atrocious – these positions were six months from announcement to getting Steve and Tim on board. I understand the federal personnel management agency – after some spurring by Sue Swenson at March’s Senate hearing – is now allowing FirstNet to shorten some hiring processes to rapidly hire skilled staff. To paraphrase George Orwell, “all states are unique – some are more unique than others”. I’m being facetious here: we SPOCs tend to emphasize the unique challenges we each face, but, frankly, we’re not that unique. Sure, Iowa doesn’t have tsunamis but it does have floods. Washington doesn’t have hurricanes and Florida doesn’t have earthquakes (except sinkholes, of course). Here’s my point: we SPOCs need to start looking at what we have in common, how we can best support the wireless data needs of our responders, how we can work together to overcome our challenges in getting this network built, and stop raising stupid red-herring issues like procurement. If we state government bureaucrats can’t figure out our own procurement laws to buy something vital for our first responders like FirstNet, we ought to be shot (to quote FirstNet Board Chair Sue Swenson). The FirstNet Board needs to hire T. J. Kennedy as its Executive Director. The General Manager/Executive Director position has been vacant for a year now. Kennedy has all the right background and leadership skills necessary to push this project forward, and he needs the ability to hire a deputy to help him. For the first time since the First Responder Authority was created in February, 2012, there now appears to be a clear path forward to build the network – see my timeline above. There are many positive signs: the aggressive move to collect data to properly craft the RFP, the impending release of the draft RFP, a promise to issue the final RFP by the end of the year, the hiring of regional staff such as Tim Pierce and Steve Noel, and the hiring of skilled technical leaders by Acting CTO Jeff Bratcher. To some extent, the past three years with FirstNet has been like taking a train through a tunnel. When a train goes through a tunnel and it gets dark, you don’t throw away the ticket and jump off. You sit still and trust the engineer. This meeting heartened me that there might be light at the end of the FirstNet tunnel.